Cricket blogs |||. The "silly points"
“…there is no fixing in IPL”. Lalit Modi, suspended Indian Premier League (IPL) chairman and commissioner, insists there has been no match-fixing in the three editions of the cash-rich Twenty20 league and that he does not doubt the integrity of the franchise owners and the players. “There is absolutely no match-fixing in the IPL and the allegations being floated are just motivated by people to find ways and means of undermining all over the world what we have done,” he said. And Modi is an honourable man. Then why can I no longer believe that? Does the franchisees really give a toss for the outcome as long as money flows in into their coffers? If there is any money on offer for fixing performance, will they not grab the dollars with their greedy fists? Do they really care about the colour of money? Or just accept any betting site that comes as a sponsor? Rubbishing allegations of cricket players being highly susceptible to corruption, Indian Premier League (IPL) vice-president , Niranjan Shah has said that IPL was foolproof from match fixing. Highlighting the IPL’s strict mechanisms and the Indian cricket board’s actions to curb match fixing, Shah maintained that there was no substance to Gilchrist”s statements. Do players really need to be “experts” to comment on match fixing? The player(s) are at the core of fixings. Match fixing is possible ONLY if a player or players can be “induced” to co-operate. I would rather believe the concerns of fixing raised by players like Mr Gilchrist than the habitual lies of BCCI/IPL management. PUNE: Contradicting Mahendra Singh Dhoni’s views, senior batsman Sachin Tendulkar on Friday said IPL parties cannot be blamed for India’s debacle in the recent Twenty20 World Cup in the West Indies. India could not reach the semifinals of the Twenty20 World Cup and skipper Dhoni said late night parties and continuous travelling during the Indian Premier League took a toll on the players’ body. 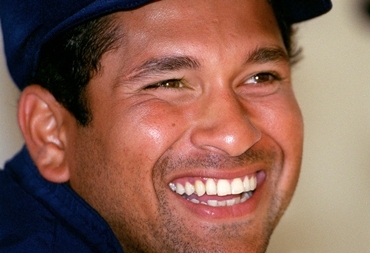 Tendulkar, however, begged to differ and said every player should be aware of their responsibilities. “Parties and performance are two different things that cannot be related and every player should know his responsibility,” Tendulkar told reporters after laying foundation stone of an extension of Deenanath Mangeshkar hospital. Besides, Tendulkar said parties are not new in cricket. “Parties used to be held even in the past,” he said, laying stress on observing individual’s discretion in the matter. Tendulkar, who led Mumbai Indians to the final of IPL 3, said he avoided the parties since he wanted to be fresh for the next day’s match. “I did not go for any of the IPL parties. I always wanted to be ready for the next match,” he said. Tendulkar said every player should know how his body reacts and follow certain things to carry out his duties and responsibilities. Arguably the greatest batsman ever, Tendulkar said it was important to “understand your body” and strike a balance between play and rest. Sorry Mr T. I cannot agree with you on this. Now why would you do that if parties, as you have said, does not affect one’s next day’s performance. I find this statement of yours self contradictory. “… every player should know how his body reacts and follow certain things to carry out his duties and responsibilities…”. You cannot deny that many of the players who went on to play the WC did not behave responsibly at the IPL parties. If such a player parties every match night till the small hours for six continues weeks and then while on national duty plays well below his potential, how can you rule out with such certainty that the parties were a possible reason for the failure. what I would have accepted is if you had said “… are two different things that do not go together and SHOULD NOT be mixed. I presume you meant in the pre-IPL era. But has there ever been such debauchery prolonged into the night after every match day and before the next? During every tour and tournaments there has been, and will always be, strict curfews. There was no curfews on players during the IPL. For such curfews would have been counterproductive for the very reason for the parties. To make money. Please do not refute what the captain of the Indian team himself has said. He is the captain of the Indian team, you are not. He was leading the playing XI at the WC you were not. He has every right to raise his concerns. You may have your reasons to side with the BCCI/IPL on this. You cannot undermine the captain who still has the responsibility of leading our players to bring back the teams honour. Your halo has just slipped, sir. ….. or an entire cricket board. In what is an all-out frontal attack on the Indian cricket board’s two most powerful men, he has made even stronger accusations against BCCI secretary N Srinivasan, and accused him of a “brazen” misuse of his power as secretary to “confer benefit” on the Chennai Super Kings (owned by India Cements, the company where Srinivasan is managing director). One of the accusations Modi makes is saying Srinivasan attempted what amounts to “umpire/match-fixing” by trying to get umpires from Chennai/Tamil Nadu to officiate in matches that featured the Super Kings and there’s email evidence of the same. In what he dubs “a clear and brazen use of power” he has accused Srinivasan of trying to push a proposal that will allow existing teams to retain seven players (three foreign and four Indian), in order to benefit his team. They are all equally corrupt – Manohar, Srinivasan and Lalit Modi himself is no less. To save his own skin, Modi now reveals the dishonesty of the BCCI. Let us not forget, he himself is the VP of the board. All these years he was happy to put up with the Pawars, the Manohars and the Srinivasans to achieve his own dishonest gains. I agree with one of Modi’s points. Let there be an independent enquiry. Let us know the whole truth and nothing but the truth. It is time each and every one of these crooks were unmasked and the entire BCCI and IPL GC is eradicated of these vermins. The crime scene investigation is only just starting. Probably out of the tournament, so what? The weeks of the IPL turns out was not as good a preparation for the world cup, so what? You won the tournament that really matters. So, why worry? Just be happy. “for you probably would take the (IPL) money than play for county/state or indeed Test cricket. The $200K Indian Central Contract is not worth getting out of bed for, is it? Going forward, availability will be key and Modi predicts a revolution among players if they are not allowed to get involved. Indeed, he will soon launch a new franchise rule stating that a player has to be available to be auctioned. Given the earning potential, he expects players to demand to be part of it. If governing bodies try to block the development of IPL20 then the franchisees could simply buy out the players and create their own structure. Modi believes that most star players would take the money rather than spend months playing country/state or indeed Test cricket. Indeed, if he wanted he could launch IPL Tests & ODIs! IPL | turning a blind eye? IPL governing council members: Did they know nothing? The IPL’s governing council has 13 members apart from commissioner and chairman Lalit Modi. Almost all of them have now ganged up against Modi for his alleged wrongdoings. Why were they silent for so long? They say the irregularities were unknown to them. So what exactly had they been doing in the governing council? So, to remind ourselves who is the Governing Council, here are the big names. Note, not all are politicians. 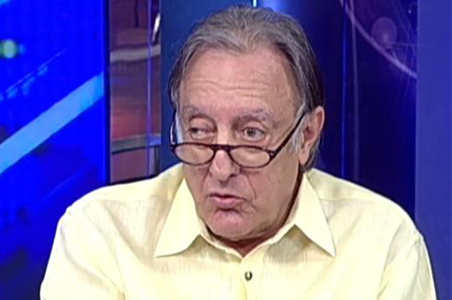 Asked why he did not do anything about it, Pataudi said: “I saw the crowds, the IPL was very popular … the dirt that has been attached to it is sad… but as long as the product was good, I was happy. That is so lame an excuse. Of course he knew, so did everyone in the Governing Council and BCCI. My interest in cricket had been killed off by a glut of twenty20s. More specifically, the IPL and the likes of Sharad Pawars and Lalit Modis of BCCI. NEW DELHI: The government has ordered parallel probes by virtually all its economic intelligence units to determine the source and use of funds by franchises of the Indian Premier League (IPL) and unearth possible tax evasions and flouting of rules. “I can assure you that all aspects of IPL will be probed, inclusive of the sources of funding, how the funds were routed and invested,” Finance Minister Pranab Mukhererjee told the Lok Sabha Monday. There are many like myself, who love the ‘old-fashioned’ but the proper game of cricket. We have watched helplessly how the Sharad Pawars and Lalit Modis have turned cricket into a circus. I have been praying for the day when cricket would be rid of such individuals. I sincerely hope that day is now here. England started with a dominant first innings to only then realise that it was a docile pitch and there were actually more runs available if the batsmen had applied themselves. A great batting performance from the Aus top order with the only concern being the out of form Hussey. In truth England seemed to run out of options when North and Haddin came together and only dismissed Haddin when he was chasing quick runs at the end of the innings. The surprise of the Test Match was the performance of the spinners from both teams. England’s much touted spin twins of Panesar and Swann were suppose to put the Aus batting order in a spin and collected 1-246 between them. Whilst Hauritz who can’t bowl to save his life before the Match took 6-158. Ponting’s choices at the end were found wanting and both captains lack the instinct and creativity of past leaders. Is it just me or does the England team lack balance in their make-up? Invariably when teams go top heavy on the bowling department they usually come undone with the team balance and results are not there to justify the shift in the team make-up. They have Prior batting at 6 who is capable of scoring runs in a hurry (as Gilchrist in the past) but more than that is required at 6. You have to also be able to stop a batting collapse if need be, adapt to the scoring rate required including increasing it when required. That is the job of a specialist Test Match batsman not a wicketkeeper who has enough on his plate with other duties. Prior should be free to do his thing at 7 let the top order do their job. Also Bopara looks a good batsman but who should probably serve an apprenticeship at 6 and let the gritty Collingwood bat at 3 to relieve some pressure on the lower order. KP is KP and he has to do his thing. Sometimes it won’t come off but more often than not it will. Players of his ilk like Gilly are game breakers and need the freedom to do their thing. The bowling also seems to lack depth with Flintoff out of form. It was all too much up and down from the quicks with only Anderson in spurts offering real challenges for the Aus batting lineup. Only one Test Match so far and it could all change in an instant. Looking forward to Lords and what the home of cricket has to offer. 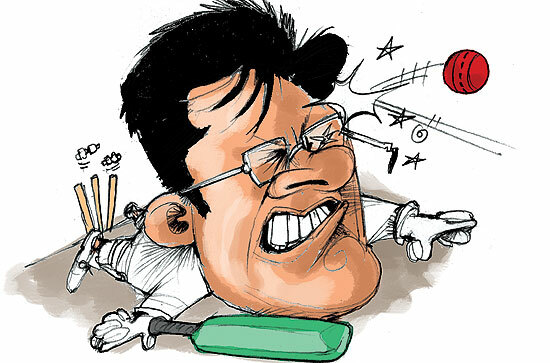 The Cricket Nerd » GIFs of the day: Hitwicket!